By now, you have been exposed to the particle ~도 and it’s usage/function for a while. You are probably quite familiar with how it works, and the meaning it creates when it is added directly to a noun. This particle was first introduced all the way back in Lesson 4. 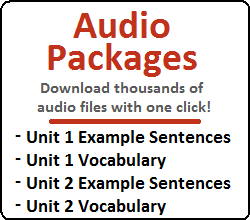 Since then, you have learned a ton of additional grammatical principles – each with their own special meaning and function. 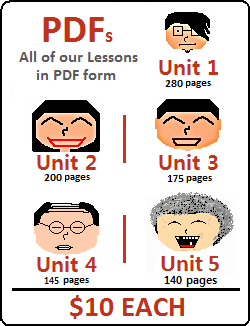 The purpose of this lesson is to familiarize you with these grammatical principles when they are combined with ~도. Sometimes, the meaning that is created by combining ~도 with another grammatical principle is just the sum of their individual meanings. However, sometimes their meaning can be slightly – or very – different. Let’s get started. The word “때” is a noun that is being described by the previous clause “여자친구를 만날.” The construction “여자친구를 만날 때” could also be translated to “the time in which I meet my girlfriend” (although it sounds a little bit unnatural in English when written like that). Anyways, by attaching “~도” to “때”, you are indicating that something occurs at that time in addition to some other time as well. 저는 공부를 내일부터도 시작할 거예요 = I will start studying from tomorrow… as well … ? 저는 내일 서울까지도 갈 거예요 = I will go to until Seoul … as well… ? In this example, although the speaker is indicating that the friend ate some other food in addition to octopus, he/she is not stressing that there were many other foods that the friend may have eaten. In this example, the speaker is indicating that he had many things to do. The sentence above indicates that, not only did he/she finish the other tasks that needed to be done (maybe like cleaning, doing the dishes, walking the dog, etc…), but even went as far as to finish her homework. 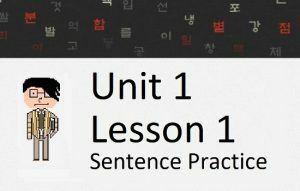 In Lesson 30, I talked about the use of ~는지 and the purpose of attaching ~도 specifically to future tense conjugations. If you haven’t read that lesson yet, I suggest you review that lesson briefly before continuing. 문을 어떻게 열지 모르잖아! = You don’t know how to open the door! 문을 어떻게 열지도 모르잖아! = You don’t even know how to open the door! In Lessons 76 and 77, you learned all about how to use ~는데 in sentences. As you know from those lessons, the meaning of ~는데 is often hard to express in English – but the closest we can do (for one of the usages) is to say that the meaning is similar to “~지만” but not as strong… and it often provides background information for the upcoming clause. You know the general usage of “~고” is to indicate that something happens after something else. You can place ~도 after the particle ~고 to stress that even after the first action occurs, the second action occurs. Here, the speaker is saying that he thinks about the girl a lot – in many situations. By saying the sentence above, he expresses that – not only does he think about her in many other situations, but also when he is studying. Their respective meanings are very similar, Korean people will often tell you that their meanings feel the same. 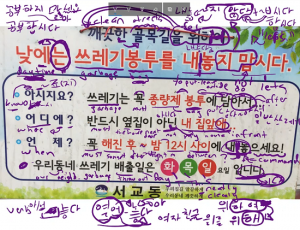 That being said, the use of ~도 makes me feel like saying “~(으)면서도 would be more stressed or emphasized. For example, if you are catching up with a friend and he is telling you about what he has been up to for the last little while. He tells you a bunch of things that you didn’t know, including that he moved to Busan. In this case, you can stress that you didn’t know all of these things, even the fact that he moved to Busan (which you should have known, because that is a big piece of news to not be aware of). For example, if you walked into your friend’s house and you saw that he had a bunch of memorabilia from a movie (like posters and stuff like that). You could say this sentence to express that you didn’t even know that he liked it, let alone like it so much to go as far as buy all of this memorabilia. For example, if you are talking with your friend about a company, and your friend indicates that the company not only went bankrupt, but as a result of the bankruptcy the CEO fled to Japan and started the company again there. You could say this sentence to express that you didn’t even know that the company went bankrupt, let alone the other facts about the CEO fleeing to Japan and starting the company again. Note that a better translation might technically be “there is a possibility that it will rain.” However, I personally prefer the translation of “it is possible that…” when using the “~ㄹ/을 수도 있다” form. This sentence would translate to something like “It can rain.”… but… what? What can rain? What has the ability to rain? It is more natural in Korean to talk about the possibility that it could rain. For this reason, it is more natural to say “비가 올 수도 있다”. To go back to the first example of “나는 축구를 할 수도 있다”. That sentence does make sense, but only in the situation when you are talking about the possibility of you playing soccer. What you are inferring is that the plans might not change… but there is also the possibility of them changing as well. This is the function of “~도” in this grammatical principle. Okay, that was a lot of stuff, but take me to the next lesson!